Fresh & creamy taste. Made with pasteurised milk. Suitable for vegetarians. 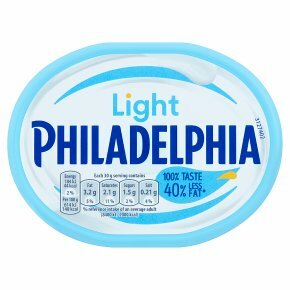 Less fat* *Light - Minimum 30 % less fat than Full Fat Philadelphia.